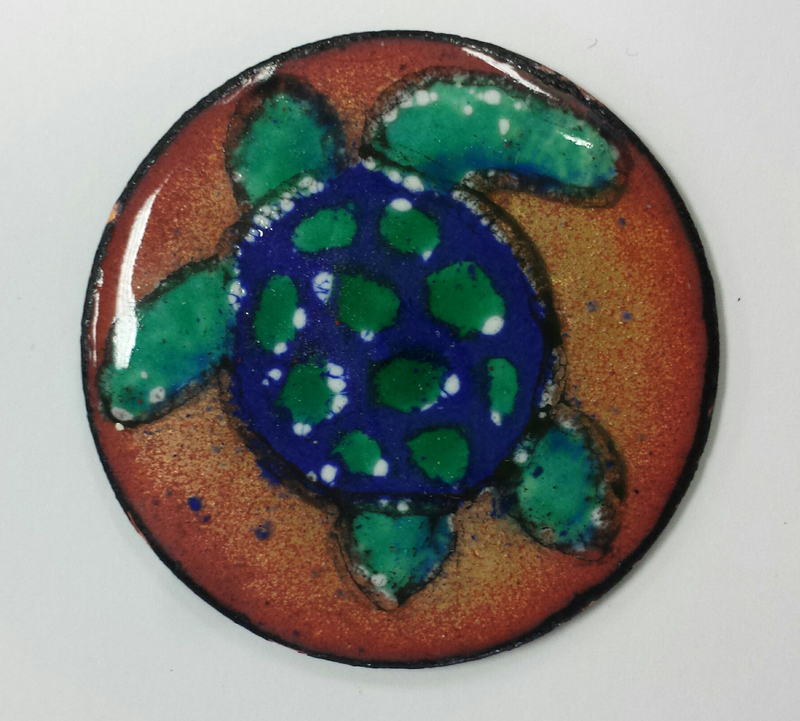 Goals of the Assignment: Students will create an enamel on copper demonstrating the use of both transparent and opaque enamels as well can powder and liquid enamels. Students will use the knowledge gained from their reading to create a final work which synthesizes their knowledge line, shape and color within their design. Subject can be objective or non-objective, but craftsmanship will be critically analyzed.